Minnesota has made major investments to improve water quality through its Clean Water Legacy program, yet there is concern that progress toward meeting this goal has been slower than anticipated. To accelerate the pace of water quality improvements in urban areas, the Minnesota Legislature has allotted funding for stormwater research. To support this effort, we are developing a Stormwater Research Roadmap. Whereas institutional research plans are often inward facing and audience-specific, our goal is to develop a process that includes a diverse range of expertise related to stormwater management. We use several mechanisms to accomplish this. First, we distributed a scientifically designed survey to query contacts from three major governmental organizations involved in stormwater management, including all designated contacts for Minnesota’s Municipal Separate Storm Sewer System (MS4 program), to which we received 150 responses. Through this survey, we carefully triangulated on research needs, for example, by asking respondents about barriers and opportunities toward achieving clean water, and through careful ranking of priorities. To broaden our information base, we will soon complete four stakeholder workshops and 10 semi-structured “policy actor “interviews with key individuals in Minnesota’s stormwater community. We will discuss the roadmap process, key research needs and their rationales, and a concept for integrating this research roadmap process into long-term adaptive planning. Dr. Baker is an envirornmental engineer whose research applies a hybrid education in environmental engineering and ecology to the study of applied biogeochemistry, with a focus on human ecosystems – cities and farms. He works in “Pasteur’s quadrant”, moving between theory and application, mostly focused on water quality problems to find solutions that are more effective, more efficient, and fairer. Research thrusts include urban stormwater, agricultural pollution, utilizing nutrients in food waste, policy regarding phosphorus management. In recent years, he have been very active in various synergistic activities, including translational research. He is a member of the University of Minnesota's Water Council and until recently was a member of the EPA-BOSC subcommittee on Safe and Sustainable Waters. He has published more than 100 peer-reviewed papers and has edited two books, most recently, The Water Environment of Cities, and often contributes columns and articles geared toward professional and public audiences. Bio: Dr. Baker is an envirornmental engineer whose research applies a hybrid education in environmental engineering and ecology to the study of applied biogeochemistry, with a focus on human ecosystems – cities and farms. He works in “Pasteur’s quadrant”, moving between theory and application, mostly focused on water quality problems to find solutions that are more effective, more efficient, and fairer. Research thrusts include urban stormwater, agricultural pollution, utilizing nutrients in food waste, policy regarding phosphorus management. In recent years, he have been very active in various synergistic activities, including translational research. 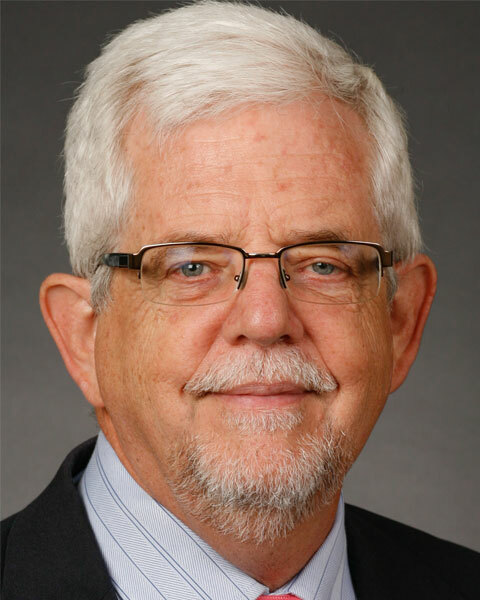 He is a member of the University of Minnesota's Water Council and until recently was a member of the EPA-BOSC subcommittee on Safe and Sustainable Waters. He has published more than 100 peer-reviewed papers and has edited two books, most recently, The Water Environment of Cities, and often contributes columns and articles geared toward professional and public audiences.